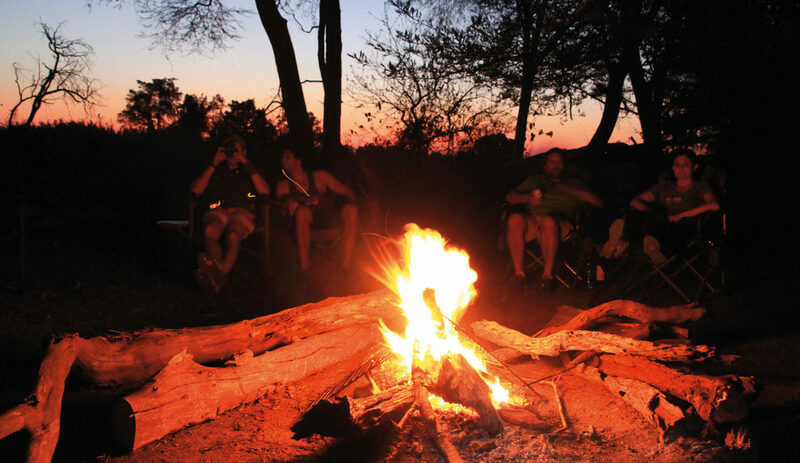 Autumn’s mild weather is the ideal time to head to a picturesque braai spot with family and friends. Combine super braai locations in Wild parks with delicious braai recipes for an unforgettable feast. And start ticking those #wildadventuregoals! This year we’re challenging Wild Card members to get out there and do something special. In May the challenge is to have a memorable braai. Want to elevate your braai to the next level? We’ve got five stunning wilderness destinations and five delectable dishes to light your fire. South African braai pro Jean Nel has just the braai recipes to tick a few #wildadventuregoals this autumn. 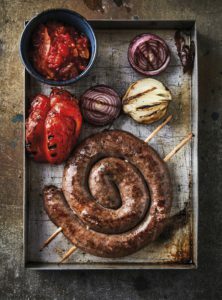 From his new book, More Braai the Beloved Country, we bring you five tasty recipes. Five lucky Wild fans will win a copy of Jean’s new outdoor cookbook (R185), courtesy of Jacana Media. Enter below! Chilling alongside the languid waters of the Breede River is just the ticket for a lazy Sunday. Bontebok National Park, outside Swellendam, offers plenty of picnic and braai spots on the river’s edge. 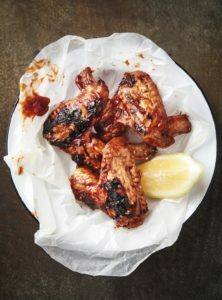 Choose a recipe that is also about taking it easy, such as these chicken wings, which take 20 minutes over a medium to low heat. Then light your fire, sit back and relax. Click here for daily conservation fees (free for Wild Card members) or contact the park on +27 (0)28 514 2735. Mix all the ingredients for the sticky sauce. Set aside. Marinate the chicken wings with 90ml of the sticky sauce. Place the chicken wings on a clean, hinged grid or use some skewers for easy handling and even braaiing. Place the grid on a medium-to-low fire. Braai the chicken wings for between 20 and 30 minutes, turning frequently. Baste with the rest of the sticky sauce in the last five minutes of cooking time. Imagine having a braai where bushbuck and grey duiker – to mention but a few – roam free. Set up next to the Umzimkulwana River at Oribi Gorge Nature Reserve and don’t forget your camera and binoculars! Such a special setting demands a meal that is also out of the ordinary. Put a fresh spin on mealies with this classic Mexican combination of mayonnaise, chilli and cheese. Contact the reserve on +27 (0)39 679 1644 for more information. Pull the husks back from the mealies, leaving them attached to the base, but discard the hair. Soak in cold water for 15 minutes. Lightly oil the braai grid. Braai the mealies, turning occasionally for about 10-15 minutes. The kernels should be tender and browned. Remove mealies from the braai. Whisk together the mayonnaise and cayenne pepper in a bowl. 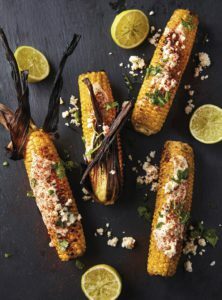 Brush the mayonnaise onto the hot corn, then sprinkle with the crumbled feta and chopped coriander. Serve with lemon or lime halves. Only open during the cooler months (because of the fire risk in summer), the braai spots surrounding Silvermine Dam in Table Mountain National Park must rank among the prettiest in the country. The shimmering water, mountain views and fragrant fynbos are sure to make your heart sing. 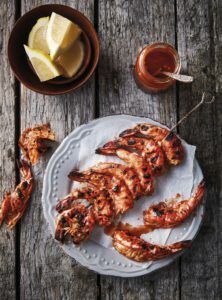 And to make your stomach growl, opt for peri-peri prawn skewers, with a taste that is smoky, tangy and completely yummy! Note that no alcoholic beverages are allowed at Silvermine. Contact +27 (0)21 780 9002 for more information. Try the peri-peri sauce on chicken or pork chops too. Wooden skewers soaked for 15 minutes in cold water. Place the chillies and garlic in a small frying pan over a medium heat and dry fry for five minutes. It should start to blacken. When cool, peel the garlic and deseed the chillies. Blend with the remaining ingredients until smooth to make a sauce. Season with salt. Remove the heads and legs of the prawns. Using kitchen scissors, cut a slit along the back of each prawn and remove the digestive tract. Put the prawns in a bowl and add half the peri-peri sauce. Toss to coat. Thread the prawns onto the skewers. Braai prawns on a high heat for about 3 minutes per side. Braai marks should appear and the shells should turn a deep pink colour. Remove prawns from the braai. Serve with the remaining peri-peri sauce and lemon wedges. 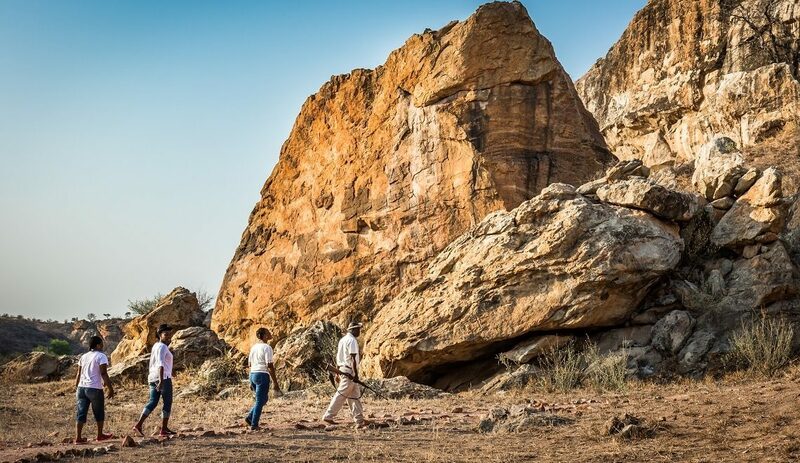 The famous confluence of the Shashe and Limpopo rivers at Mapungubwe National Park will leave you breathless. From the viewing deck you can enjoy sweeping vistas in all directions and everywhere you look you’ll find dramatic beauty. 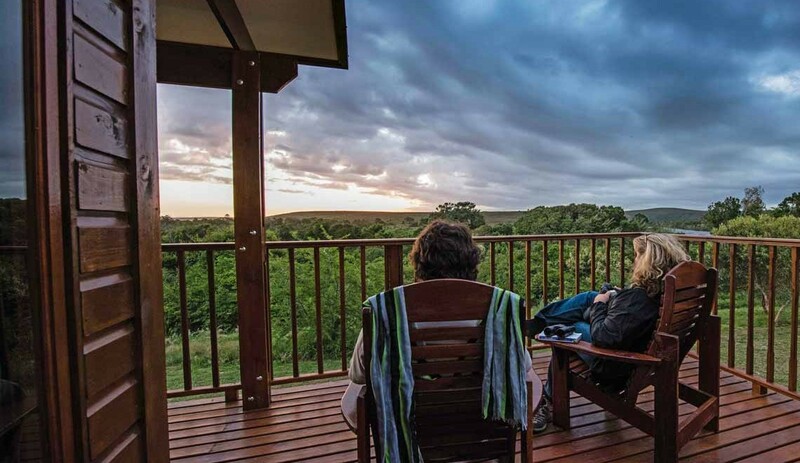 This rocky national park and World Heritage Site is surely the perfect spot for a deluxe bush braai. And what could be more mouth-watering than finger-licking ribs done over the fire? Click here for daily conservation fees (free entry for Wild Card members) or contact the park on +27 (0)15 534 7923. It is best to marinate the ribs overnight for the best results. This marinade also goes well with pork or chicken. Combine the soy sauce, brown sugar, vinegar, sesame oil, garlic, ginger, tomato sauce and chilli flakes in a bowl, and whisk till the sugar dissolves. Place ribs in a large zip-lock bag and pour marinade over. Seal the bag and refrigerate overnight. Turn the zip-lock bag a few times while in the refrigerator. 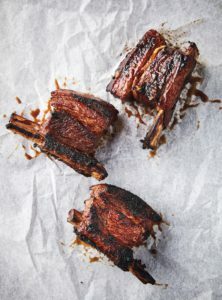 Bring ribs to room temperature an hour before your braai. Remove the ribs from the marinade and pat them dry with a kitchen towel. Place the ribs directly over the fire and braai, turning once until medium. This should take 8-10 minutes. Heat the sauce in a small pan on the fire. Brush the ribs with the sauce the last 2 minutes while on the braai. An easy 40-minute drive from Durban, Hazelmere Dam, part of Msinsi Resorts and Game Reserves, offers fun for the whole family. Aside from stunning views of the dam, visitors can also enjoy fishing, water sports and birding. All that activity is bound to work up an appetite, so get creative with boerewors and sosatie skewers. Braai fun in the autumn sun awaits! Click here for gate entry fees (free for Wild Card members), or contact the resort on +27 (0)32 533 2315. Coil the sausage into a spiral. Place 2 wooden skewers through the sausage to secure it. To make the smoor, heat the olive oil in a pan and fry the onions until soft. Add the tomatoes and cook over a low heat for 20 minutes, breaking the tomato with a wooden spoon as it cooks. Add the sugar and seasoning. Take it off the heat. 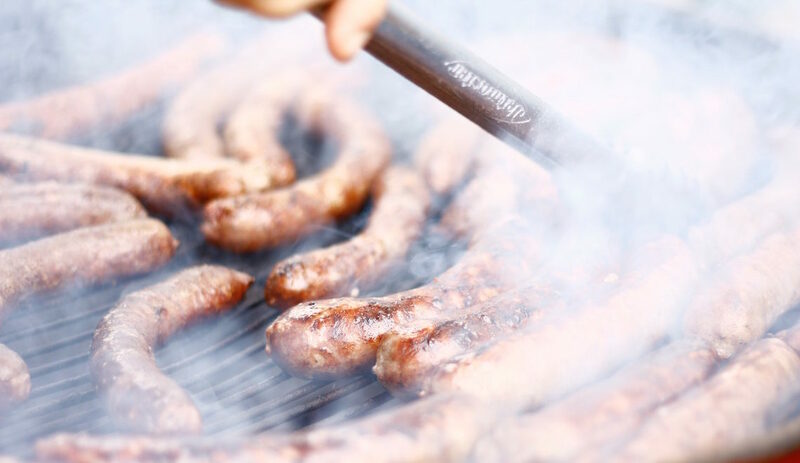 Braai the boerewors coil over medium-low heat until brown underneath. Turn it over and braai until ready. Braai the onions and pepper alongside the boerewors coil. Serve with buttered rolls and the tomato smoor. 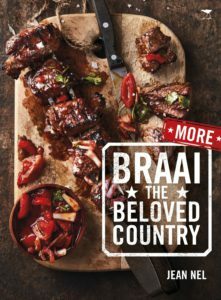 Want to win one of five copies of More Braai the Beloved Country (R185), courtesy of Jacana Media? Email the answer to our question below to [email protected] (subject line: Wild braai) before 4 June 2017. Remember to include your full names, contact details and postal address. Wild will randomly select the winners. Winners will be notified via email. Question: Who is the author of More Braai the Beloved Country? Baie baie dankie vir die heerlike resepte dit lyk fantasties ons gaan dit beslis probeer dit is n bonus. Dankie ook vir al die interesante nuus wat ons onvang Ons kamp gereeld by Sanparke en dit altyd n groot lekkerte alles mooi skoon en netjies en persooneel altyd vriendelik en behulp saam.SANPARKE BO !! !